When tasks call for high air volume such as use grinders and sanders, larger air tanks with rapid response time can come to the rescue. 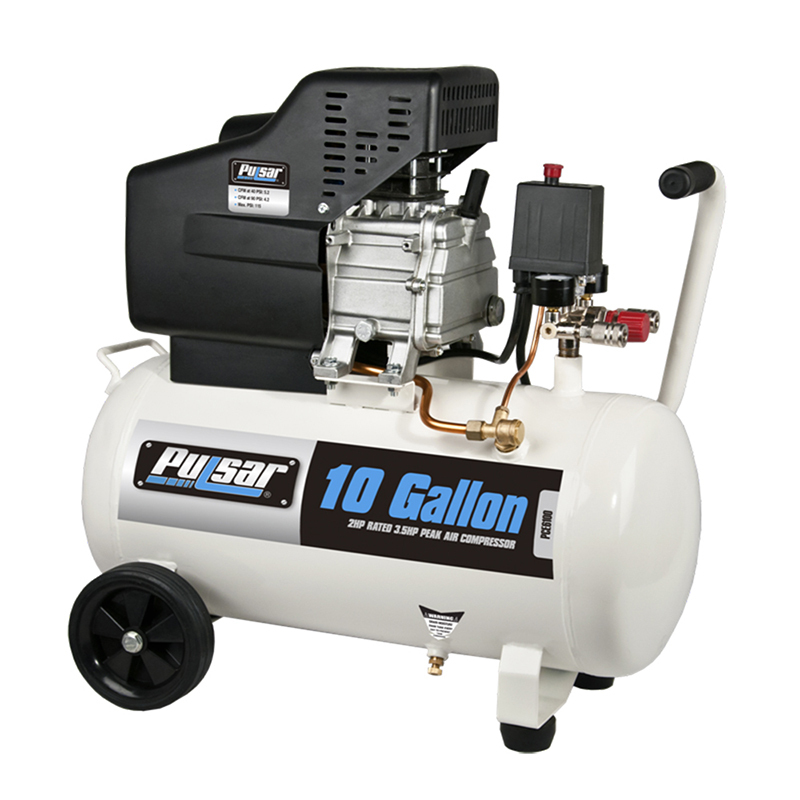 Matching a 10 gallon electro-statically painted all-steel, oil-lubricated tank with a powerful 3.5 HP motor, the PCE6100 creates 115 PSI of pressure and affords 5.2 CFM @ 40 and 4.2 CFM @ 90 for power, performance AND capacity. Add dual pressure gauges and quick couplers that allow the user to incorporate two tools at one time, and it’s easy to see why this unit is one of the company’s most popular designs.